The Thing About Regrets – What's for dinner, Doc? 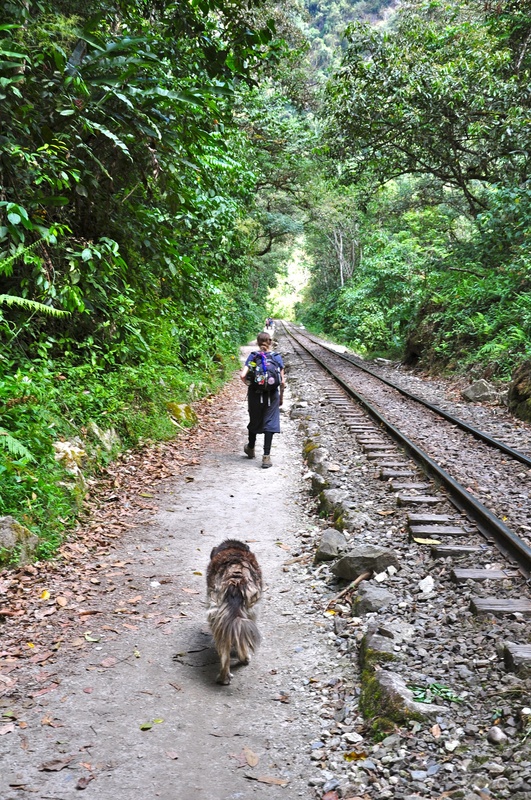 I have kicked many a stone down the tracks but that mutt still follows me. My best friend in medical school, older and wiser, had protested and stormed out of the canine lab that day. She would have rescued that mutt if the white coated professor hadn’t stopped her. The rationale? For the greater good of human medicine. For the greater good of sentient beings. The mangy mutt with no choices had stayed. Her rights had been euthanized the day the kill shelter had picked her up, unwanted and unloved, off the street. I had a choice that day and I had stayed. That’s the thing about regrets, they hound you. I’ve long forgotten the important cardio-physiology but I can’t forget that beautiful mutt, that wasted life, that meaningless death. sad story. there should be a better way. Med schools no longer do dog labs as far as I know because we have sophisticated simulation human models now. This was in the olden days before computers were so robust. 🙂 and I took a covered wagon to school. Ginger and buddy say “la, la, la…I can’t hear you…!” I say, no! Wh a a a a t? Stacey, tell the pups they’re safe. I do not experiment on Biscuit unless he’s very bad! 😉 And by experiment I mean buy an exotic dog treat sometimes. Beautifully done. I still have guilt feelings about dissecting a frog years ago in a biology class for non-science majors. It wasn’t necessary, we were English majors fulfilling a requirement. I said nothing and went ahead. Wish this was my worst regret, but it’s still there. Right Perry? I always wondered why I had to learn interpretive dance as a pre-med major. Oh that’s right, I didn’t have to, but it was an easy “A” and it comes in handy at boring cocktail parties. I feel bad for those frogs too. Your beautiful words, heavy with meaning, sent waves of regret through me as well. Thank you Rochelle. I wonder why regrets are so much more painful than other suffering? Maybe it’s the shame we feel knowing we could have, should have…. 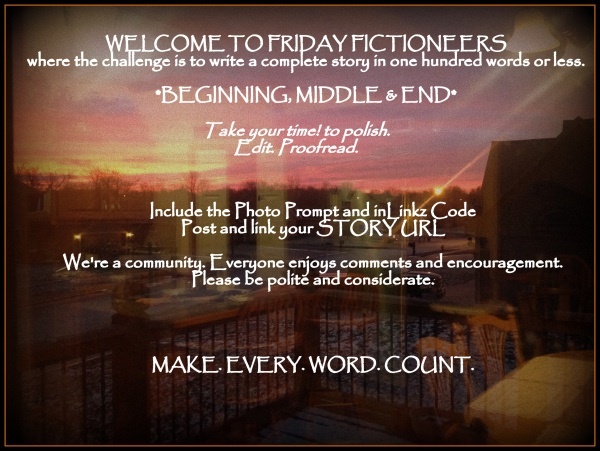 A well executed story and an interesting take on the photo prompt. Doug, I can barely make a living in medicine these days because I really don’t choose to work very hard but I would surely starve as a writer. Thank you for your kind comments. You made my day. Kill shelter 😦 This is a sad story and, I’m afraid, maybe autobiographical? I’m not sure though that all the regrets we have are bad if we learn from them and help others to not make them. Yes, a very personal and true regret. I think they stopped doing dog labs at Nevada after my classmates protested. I wasn’t brave enough or mature enough then to speak out but my classmates were brave and they changed the curriculum. There was a ground swell of students across the nation protesting unnecessary animal labs in the early ’80s. I do understand the necessity of animal research but this was worthless. Thanks for commenting Michael. I disected a worm once – I had forgotten that. Good story, well written. Thank you also for describing (in your comment to Michael B) the story behind the story. We all have regrets. It’s what we do next that matters. PS The ‘covered wagon’ is great – I love your feedback almost as much as your stories! I’m glad you enjoy my writing. There have been so many incredible advances in medical technology but I’m the first to remind my students that the basic skills of listening and touching, should never change. Powerful. To write from the perspective of a non-protester is so effective – because so many of us can identify. I’m very glad to read in your comments that there was a change of practice. What an interesting comment Margaret. You are right, we don’t often hear from the non-protestors. Tracey, excellent portrayal of someone haunted by regret. I only condone using animals for experiments if the only alternative is to experiment on humans and only if really necessary. Of course, who determines that is vital as well. I agree with dog that the use of “hounds” was well done. There are many gray zones in medicine. Not much is black and white. There is not a single patient who hasn’t benefited from animal research but I try to remain grateful for the sacrifices. Powerful story. Especially liked the word choice ‘they hound you’. Very well done! Millie, There’s another reason to be grateful for computer technology but I suppose a case could be made that the simulation models are based on a century of real animal and human observations and research. Lovely – great story telling. ‘That’s the thing about regrets – they hound you’ – couldn’t be more perfect. Really well done! The first words on my page were those. Thanks, Erin. Chilling.. what a story of a wasted life.. I remember a book by Richard Adams about two dogs escaping.. The Plague Dogs. Adam’s Watership Down was the first book that truly captured my imagination and made me hungry for the written word. I have never been without a novel since, I was 11 years old. Wow!!! A great line among many. Well done. I’m glad you liked my work. Thank you Alicia. Difficult choices don’t make for an easy life. Hope your protagonist remembers some of her learning – don’t say otherwise. Patrick, I learned many lessons that day but while writing this story I learned another valuable lesson – to forgive my younger self. Words that craft regret in its essence. Beautifully written.